People don't seem to give the kidneys much attention. The heart gets a ton of hoots and hollers, but what about the kidneys? The kidneys are actually very complex organs and carry out a number of functions for the body. If you lose significant kidney function, the only means to survive are dialysis or kidney transplant, and BOTH are treatments, not cures. We need to give both the heart and kidneys the credit they deserve. How can you get loud for kidneys? There are a number of things you can do for yourself and others when it comes to kidneys. The NUMBER ONE thing you should do is get your kidneys checked yearly by your doctor. Kidney disease is a silent killer and only shows its ugly head when you have lost significant function. Whether you are living with kidney disease, kidney failure, are on dialysis, have received a transplant, or are a living kidney donor, GET LOUD about your story and experience. I know it is hard to be vulnerable but the best thing we can do as far as awareness is keep the conversation going. I truly believe that AWARENESS CREATES CHANGE. People want to be a part of something bigger than themselves, so give them something big to be a part of! If you are in need of a kidney transplant and are waiting on the extremely long (5-10 year wait) deceased donor list, GET LOUD for your need for a living donor. If you do a news Google search for kidney transplant every week you will see a new story of someone finding a living donor either through work, acquaintances or even through a stranger! People won't be able to help you if you don't tell them what you need help with. Even if they can't be a donor themselves, they might share your story and through that find you a living kidney donor. 2. Invite people to your page and ask them to share on social media if they are comfortable with it. Be active on social media - at least 30 minutes a day - following other people's accounts, commenting, and liking. Be Social! Share your need on your personal page as well. You can find a lot of support through social media as well and other people's accounts. 3. Don't be afraid to get creative. Write a message on your car window, create shirts, hold a fun event that creates awareness, etc. 4. Be honest and be YOU. It is through YOUR UNIQUE story that you can create a connection with someone which triggers that little voice in their head "I can do that. I can be a donor." 5. Use your social networks, clubs, religious groups, social groups to help you GET LOUD. Feel free to reach out to us if you need help. We would be happy to share your story on our Kidney Stories Blog. 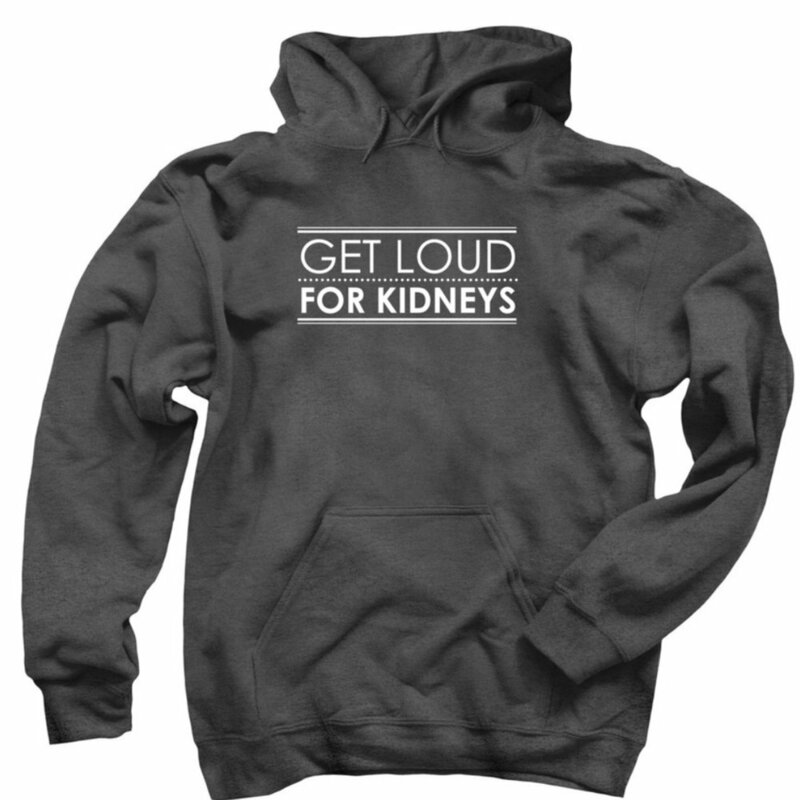 If you are shy, wear one of our GET LOUD FOR KIDNEYS shirts to help you start the conversation.